A pair of 1900 era hand carved bed rails from France are charming used as architectural salvage. These antiques can function as valances, over doorways or used vertically. 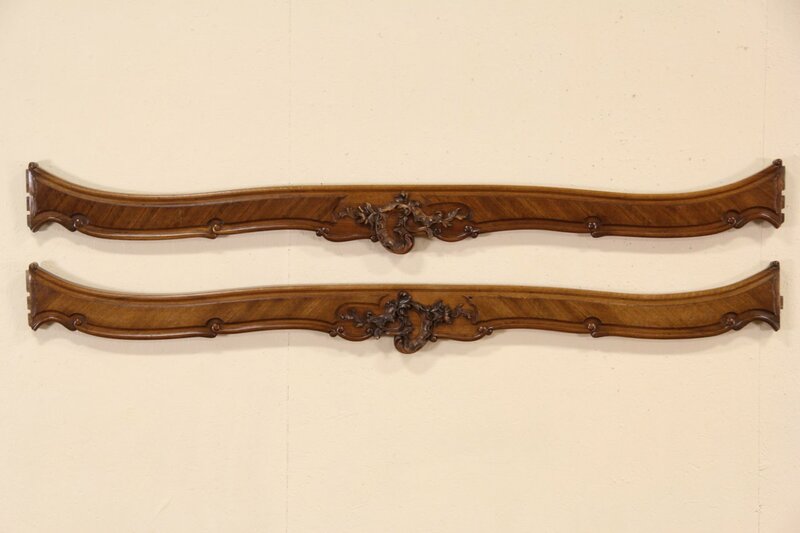 Solid oak, the original finish is very well preserved on this pair of European antiques. There are mounting brackets on the backside, size is 76" long, 1 1/2" deep and 11" wide. We can pack and ship to a Greyhound Package Express for a total of $40.00, this is the most economical way to transport these due to the length, buyer required to pick up at the station.